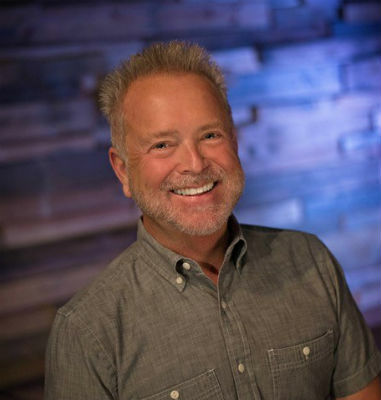 Pastor Ancil Abney says their church is all about “storming the gates of hell and making a difference for eternity.” For some, such a bold statement might be dismissed as a tagline without substance or a catchphrase without strategy. But for The Church at Bradenton, it’s not just theory; it’s practice. Something as dangerous as storming the gates of hell should not be attempted alone, though, and this Florida church knows it. 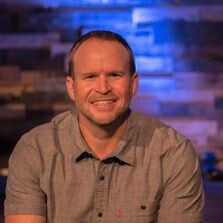 That’s why they’ve strategically assembled a stellar staff, partnered with the city, and offered space and grace to other churches committed to advancing the kingdom. Especially as Easter 2018 approaches, they’re making it clearer than ever that Jesus is the subject. 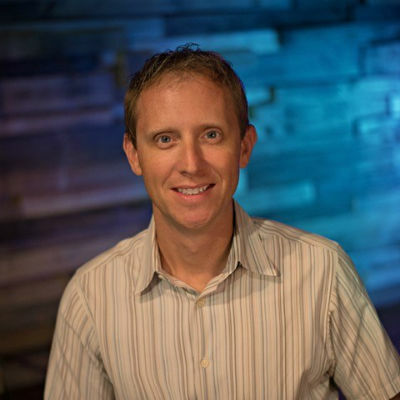 In 1999, Ancil Abney returned to The Church at Bradenton to shepherd the flock as lead pastor. He came as no stranger to many in the congregation, for he had served as their student ministry pastor from 1984 to 1987. In the years between, Ancil served at congregations in Florida and Kentucky, but now he would begin a stint that would last for eighteen-and-a-half years and counting. A heart for God, community, and partnership has no doubt played a role in this longevity and effectiveness. One manifestation of such kingdom-mindedness has translated into the church offering worship space to two other churches outside of the Church of God movement. 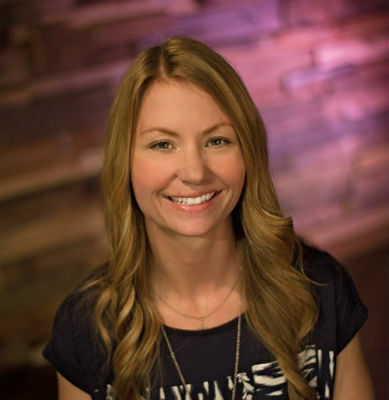 It all began with Pastor Ancil Abney’s impassioned prayers in the parking lot. Churches across the country know it’s not an ideal situation when two churches are built right across the street from each other or, worse yet, right next door. It makes little sense and could communicate to the community anything but Christ. In the 1960s, the empty property next door to the church was offered to the church for $25,000 but, unfortunately, the church at the time could not afford a purchase. But another church could, and did. 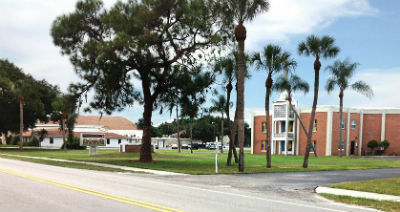 They built a large facility and became good neighbors to The Church at Bradenton. Still, the situation was more than awkward; it wasn’t helping either church accomplish their God-given mission. So, Ancil Abney began to pray in the parking lot. Meanwhile, life-changing ministry continued and The Church at Bradenton experienced tremendous growth. Though Ancil’s prayer wasn’t answered in the exact manner it was offered, the church next door did end up having to sell their property. Today the church uses the new space for student ministry, and for another church on Sunday mornings. They realize that, despite some doctrinal differences, they’re on the same kingdom team. The Church at Bradenton has thus extended their hands in fellowship and partnership to a Church of Christ and a Presbyterian congregation. Jesus is the subject. One of the most remarkable partnerships involving The Church at Bradenton crosses perceived boundaries of church and state. This year will mark the eleventh year in a row that they’ve held a community Easter egg hunt at the largest city park on the west side of Bradenton. Up to five thousand people participate in the event which caught the attention of the county’s parks and recreation department. 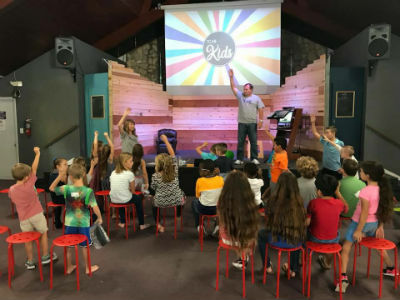 The city was also putting on an Easter egg hunt, and approached The Church at Bradenton about the possibility of producing the event with them. The Church at Bradenton is thrilled by the opportunity to work directly with the city, loving its residents in the name of Jesus, and making their community a better place to live. Jesus is the subject. Streetview of the old (left) and new (right) church buildings. In Florida, across North America, and around the world, God is on the move in the Church of God. Join the movement. Reach our world. Donate today at give.jesusisthesubject.org. This entry was posted in All Church of God, Give Life, Southeast and tagged Ancil Abney, Bradenton, children's ministry, church growth, Church of Christ, city, community, Easter, ecumenical, egg hunt, expansion, FL, Florida, Jesus Is the Subject, kingdom, kingdom-mindedness, leadership, outreach, partnership, pastoral team, Presbyterian, property, reclaim what hell has stolen, Sarah Copeman, staff, TCAB, The Church at Bradenton, Tom Pelt, unity, William Sallee. Bookmark the permalink.